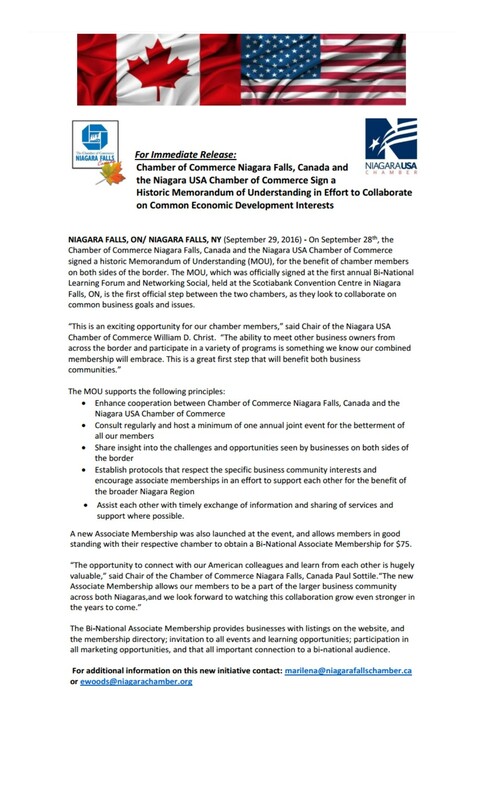 Wednesday, September 28, 2016 The Niagara USA Chamber and The Chamber of Commerce Niagara Falls Canada signed a historic memorandum of understand in effort to collaborate on common economic development interests. The document was signed at the first Bi-National Learning Forum and Networking Social. Members from both chambers we in attendance to witness the great announcement!